Nothing makes your music collection look more boring than to have missing or poor quality album art. Like most music players, Google Music allows you to easily change the album art for your songs. 1. Go to Google Music and login to your account. 2. 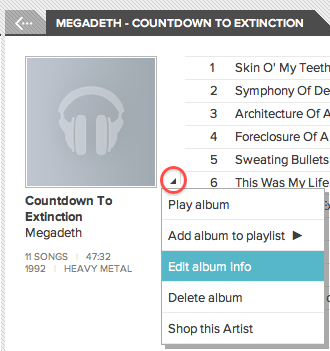 Locate the desired song or album and click the corresponding dropdown arrow. 3. Select Edit song info. 4. Locate the album art thumbnail and either double-click the thumbnail or click Change beneath the thumbnail. 5. Click the Choose file button. 6. Browse to the location of the desired album art. 7. 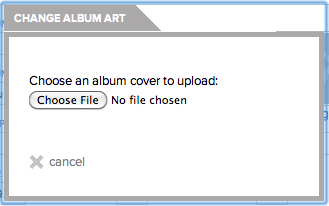 Select the desired image and click the Open button. 8. 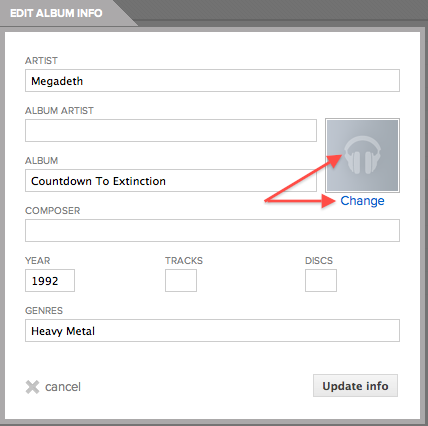 The thumbnail for your new image should now be displayed in the Edit Song Info window. 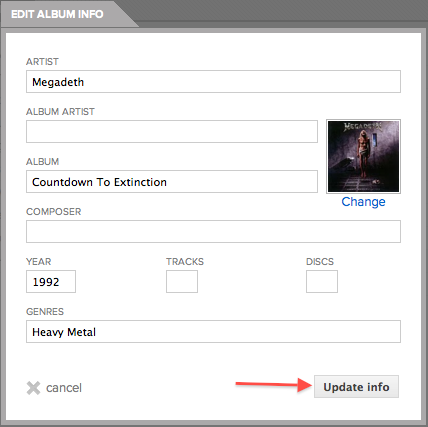 Click the Update info button for the change to be saved.